The common perception of a financial career in the City is a glamorous one where high fliers earn millions of pounds, and in some jobs this may be true. However, financial workers in the City work some of the longest hours in very stressful environments. On the flip side there are excellent salaries to be made and there are a huge number of job opportunities. Why Work in the City? 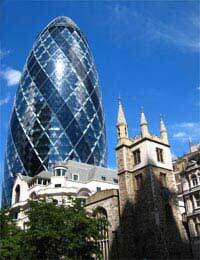 If you are considering a career in a financial field such as investment or retail banking, then the City, meaning the financial area of London can be the ideal choice. The range of financial careers available in the City is diverse and this geographical location does offer some of the highest salaries in the UK. A huge percentage of graduates head to the City each year seeking employment within many financial fields. But it does take more than a good degree to win the top graduate finance jobs in London. When it comes to winning the top finance jobs, especially graduate placements, you will need to have a competitive nature and a drive to succeed. You may have the necessary qualifications for a trainee position within an investment bank but the interview process can be gruelling. Competition is very high for jobs in the investment banking sector due to the high salaries and good career prospects. You should take into consideration that most investment banks receive around 9,000 applications each year for only 150 available placements. Preparation and thorough research will be needed before any finance job interview. Interviews with well know investment and retail banks can be a daunting process and candidates will be subjected to rigorous testing. The interview process will normally consist of different levels starting with the online application and verbal and numerical tests. Following this there will be initial assessments and interviews, including panel interviews, and then the final interviews. Interviews for the big firms will definitely test a candidate’s tolerance to stress, and preparation is vital. There are a great many benefits to working for the top financial companies but there are also some disadvantages. Performance counts for a lot in these jobs especially in finance jobs where sales are concerned. Investment banking is a highly pressurised work environment and those that do not perform well will not succeed. The hours can be gruelling and unsocial, and 15 hour workdays are not uncommon in this career choice. Studying for professional qualifications is a requirement and these can also eat into weekends and evenings. Graduates must be prepared to work exceedingly hard to succeed in this environment. Of course the City is not all about high powered investment banking jobs. There is a wealth of finance job opportunities to choose from. Small to medium sized businesses employ a huge percentage of graduates each year. Work loads will still be high during the training period but not as intense as the world of investment banking. London has one of the highest figures for employers in the financial world and there is no better place to start off a financial career. Walk down any street in any borough of London and you will find a number of different recruitment and employment agencies. The well known recruitment agencies will have branches specifically for finance careers. This is an excellent way to start off a finance career if you are still making your decision on which finance job is right for you. Recruitment agencies will be able to find temporary or permanent work within a huge number of different business areas and financial career choices. The City is one of the most exciting places to work in the UK, if not the world. However, the amount of finance career opportunities available can at times be bewildering. Research is vital in order to find the most suitable job, and this may take some time. Graduates should take as much professional advice and information as possible before making their ultimate career decision.